What Is Microsoft Up To With Natal? Now, I’d have to watch it again to be sure… but I’m pretty sure Mattrick already said DURING the e3 brief that they were going to ship natal with every Xbox 360 sold after it’s release. Which, if you think about it, only makes sense. Wow, congrats on the new website Keighley. Very nice. Then again, I guess it’s not that new, I’m just late to the party. And yes, Project Ralph Nader is perhaps the appropriate name. The “candidate” with certain elements that just don’t add up. TV shows are inviting Microsoft to show off Natal on there shows, it’s more of an interest of the media wanting to show it off than Microsoft wants invest money into it right now. The black camera is black because TVs are black and they blend together so you won’t notice it. Just look at the Wii sensor bar, it’s black and the console is white. And Enough of the “Fluid” talk, do you know who started that? Some random person on twitter called gamefork that pretended to be an insider and was later proven to be a fake. I think we have to look at the possibility that they may sell Natal as an add-on to this generation and include it with a future console. They seem to be carefully wording their statement about working with any Xbox they have sold and any they sell in the future. That said, they are going to have to be really careful about selling this as an add-on. Pricing will be key. I can’t see them being able to sell it for any more than the Wii Balance Board. If they are going higher than $89.99, they will have to really start driving the promotion now, and i’m talking about something a little more substantive than appearing on the Jimmy Fallon show, no offense. Great points!! i was thinking the same thing, if ms bundled a core 360 w/ no hdd and no controller just with natal for $199. And they really didn’t announce anything to rival the wii this Xmas. Ive heard also that ‘Natal’ in Portuguese or some language means ‘Christmas’……….. Microsoft is really in the shadows with this one, and i personally think they will surprise us. Geoff, are you forgetting: http://news.teamxbox.com/xbox/19217/PDP-Unveils-Gametrak-Freedom-at-GDC/ ? While it’s lifespan may be limited it fills a very important space. Wii owners are not going to jump to 360 before Natal ships, but anyone contemplating a Wii will now think twice and with PDP Freedom / Lips etc they may be inclined to rather go the 360 route in anticipation of Natal. I agree with this to a degree, I think MS will launch a 199 arcade with Natal included in the box, however, I see them simply adding a few Natal friendly games and keeping the controller in the box so we can still play older xbox games. I dont see them offering a dumbed down version of the NXE simply because that would be more costly then it would be to not do it. Why slim down the NXE, Im sure MS will want to sell Natal users on Netflix, HD movies and other downloadable content. Perhaps the Natal 360 will be the first slim 360. Oh, and I think the reason Natal is black is so it won’t clash with the TVs it will be attached to, unlike the HDDVD player, I dont think its meant to sit on top of the 360, from what I saw of it, it sits above or below your TV screen, neatly integrating into the appearance of the TV itself. That is a an interesting theory and a complete possibility I suppose. I’m more apt to believe that they will just make Natal a standard part of the 360 package. Getting a sizable Natal install base as quickly as possible will be key to getting 3rd party publishers on board. I just don’t think splitting the target user into Natal owners v/s non Natal owners would be the best idea. They should be making all 360 owners(or atleast future 360 owners) Natal owners. They need to get the word Natal as far away from the word “add-on” and “periphrial” as possible. I don’t see why they can’t skip an upcoming 360 price drop, and pack Natal standard with all sku’s. Sure they will likely have to take a loss on it at launch, but so is the launch of a console. In a recent interview with Shane Kim, he likened Natals launch to that of the 360. Until the cats out of the bag, who really knows though? great points!! i was thinking the same thing, that ms will bundle a 360 w/ no hdd or controller, and natal. they do have something up their sleeve, because ‘natal’ in Portuguese deals with ‘Christmas ‘….. The videos from E3 looks like Project Natal development is going smoothly, at least to me. If not this year, maybe it would come out November 2010, 5 years after the Launch of the Xbox 360. As you said, Microsoft has well over a year before Natal is released. They’re not going to advertise it continuously until release. They’ll show the tech for the next month or two, then go silent. Then they’ll reintroduce it in November / December 2010 with a new name, a new look, and non-gaming media and all of those Wii fans won’t even remember the prototype. In this industry, products are regularly advertised multiple years before projected release. Why should tech be different? Microsoft will definitely package it with some new 360s, along with a controller, though I’m not sure it makes sense to package Natal with all versions. If they were not losing money on the 360 hardware through reliability issues, I’d say they’ll probably sell Natal sensors for less than cost. Microsoft sells a lot of games per console due to have so many quality games. 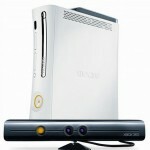 That quality will transfer over, and the 360 will quickly have more quality motion control games than the Wii. The software sales will be able to support a Natal hardware discount. 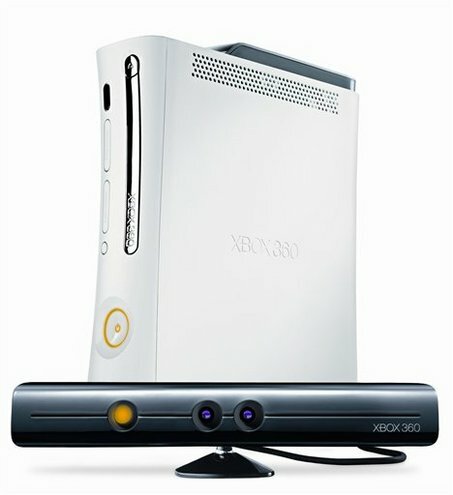 Microsoft just needs to be sure to market the 360 against the Wii as more than motion control gaming. Netflix is a strong selling point for consumers who game rarely or not at all. High-definition motion gaming and on-demand movies (and television?) are a powerful combination. Microsoft’s selling point needs to be that plus a simple interface which mimics the universally familiar action of browsing channels on TV. In my opinion it would be a smart move to bundle Natal with every console sold and rebrand it in the mid of the cycle as Xbox540 (= Xbox360 1.5) and extend the lifespann of the 360 for another five years. For all existing Xbox-Owners there will be an upgrade-kit with the Natal-Camera. Crutial to capture the imagination of the mass-market is to bundle a game or, more likely, a pack of mini-games with natal. It worked with Wii Sports and it will work with Natal or Xbox540, as I call it from now on. Maybe in 2014 or later we will then see a complete new Xbox720.